Suzi manages several key programs for the Arts Alliance and Cultural Coalition including the Artist Exhibit Program, Art Extravaganza and State of Arts & Culture community outreach. Kirsten manages the overall operations of the Arts Alliance and Cultural Coalition with a focus on resource and funds development and strategic planning. Ted is a lifelong resident of Clackamas County. Professionally he is a Licensed Tax Consultant working with his wife Shari in her tax and accounting practice. Ted started his working career in the nursery industry and still owns a small wholesale nursery selling plants locally in the Portland/Vancouver area. Together Ted and Shari have raised two daughters supporting various artistic endeavors through music, dance and theater. 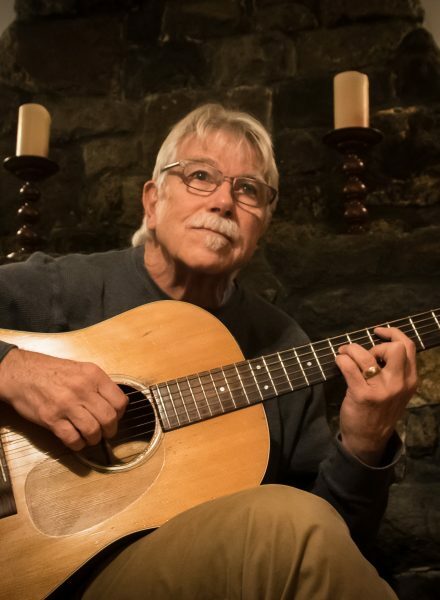 In his spare time Ted enjoys woodworking, hiking, fishing and exploring his own artistic expression on the guitar. Ted is a member of the Oregon City Rotary club and a long time believer that art and culture is central to a vibrant community. Ted is honored to work with Arts Alliance as a board member. With a history in theatre beginning as a child, Renee is now the public relations manager for Providence Health & Services in Clackamas County. She first started with Clackamas Arts Alliance when she facilitated adding a public art gallery to Providence Milwaukie Hospital in 2002. She served on the Clackamas County Cultural Coalition from 2004 to 2008 and joined the Clackamas County Arts Alliance Foundation board in 2011. 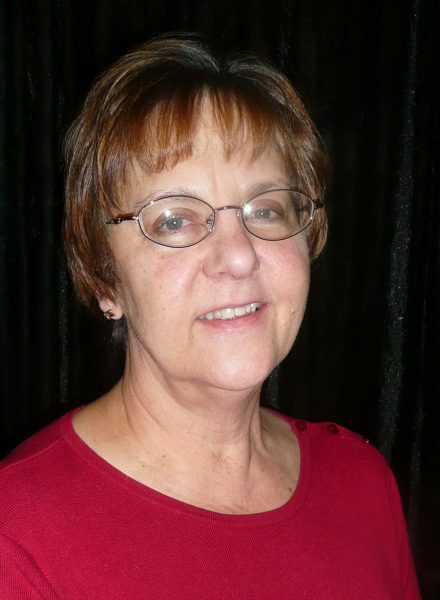 Renee has a bachelor’s degree in theatre management from University of Portland and worked as a stage manager in Portland theatre for many years. 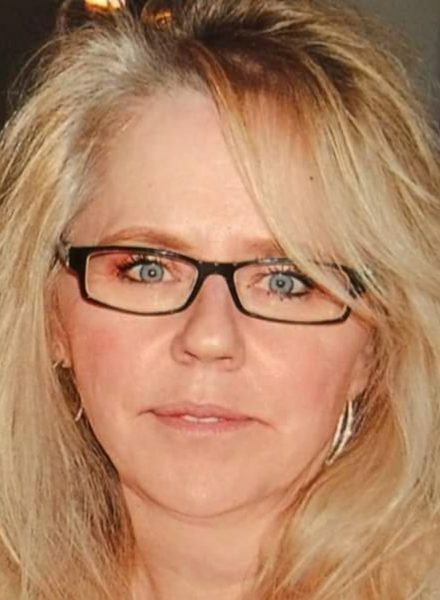 She continues her love of theatre vicariously through her actor husband, Alan King, and one of her sons who is a thespian at Clackamas High School. Looking back at my life history, I realize what a significant role that art played in shaping my life and made me, well, me. I was fortunate to have lived in a community and attended schools where art, music and theater curriculum were a valued and expected part of a public school education. I recall members of the Seattle Symphony Orchestra performing in my grade school. In middle school I was an active member and secretary of the Tacoma Junior Art League. Drama class was a favorite elective. My first two years of college, I majored in art. The History of Western Art class played a major part in my lifelong passion for appreciating visual art. My undergraduate and graduate work was in psychology and organizational development, but art, music and theater appreciation continued to go along for the ride. My wife, Susan, and I live in Welches. I work a few days a week counseling at-risk young people within the Job Corps program. Susan also works a few days a week as Volunteer Director with Mt. Hood Hospice. I enjoy playing Pickleball, hiking, skiing, and listening to music. Susan and I are involved with Friends of Timberline and collect northwest artists. 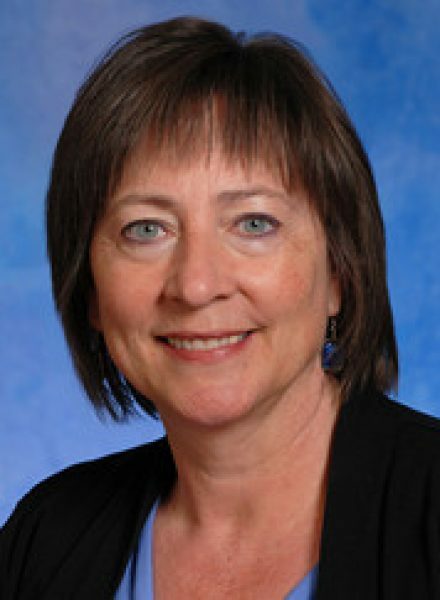 A long career in educational non-profit management and fundraising culminated with Karen’s retirement in 2012 as Executive Director of the Clackamas Community College Foundation. 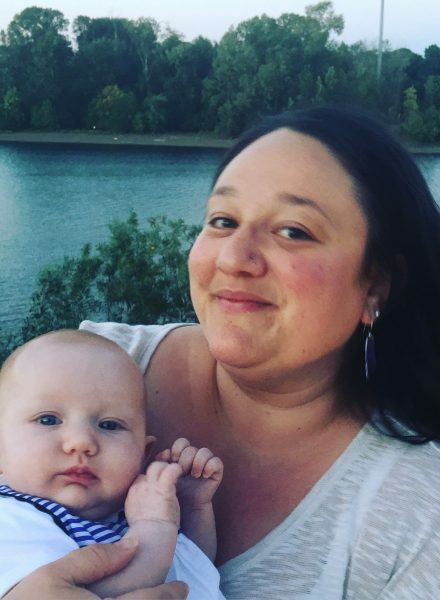 She worked as a fundraising manager at Portland State University, Reed College and Treasure Valley Community College, prior to joining the team at Clackamas. After retirement, Karen continued her work, but this time as a volunteer, nurturing her true passion in arts and culture. In addition to the Arts Alliance, Karen serves on the boards of Clackamas Repertory Theatre and the Oregon City Library Foundation. She is also a proud member of the Rotary Club of Oregon City. A native Oregonian with two grown children, Karen lives in Oregon City with her husband where she enjoys music, theater, gardening and reading. Cherie McGinnis is a long time active patron and supporter of arts and culture in Clackamas County. She was the first woman ever elected to the Gladstone City Council and she was a founding member of the Gladstone Historical Society, serving as one of its early presidents. 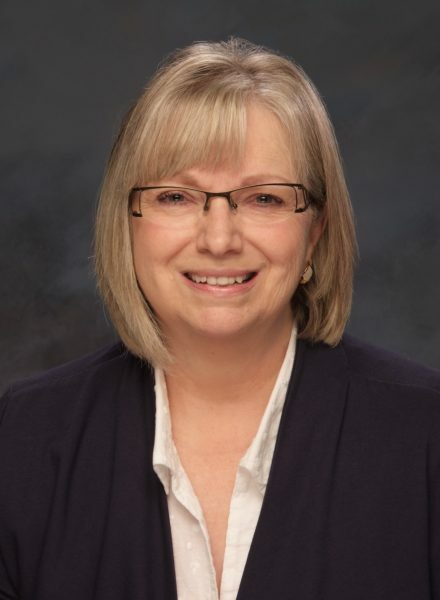 Cherie’s professional career has been focused in the political world, having served as a Legislative Assistant in the Oregon Senate and the Oregon House of Representatives as well as Senior Staff Assistant to the Clackamas County Board of Commissioners. Cherie and her husband, State Representative Bill Kennemer, enjoy traveling and collecting. Their home is filled with antique paintings of Pacific Northwest landscapes. She serves on the Board of Directors of the Clackamas County Historical Society and the Clackamas County Arts Alliance. Emmett Wheatfall is a poet living in Portland, Oregon, where he reads, writes, publishes and performs poetry. He has published six books of poetry, released one non-musical poetry CD and four musical poetry CDs. 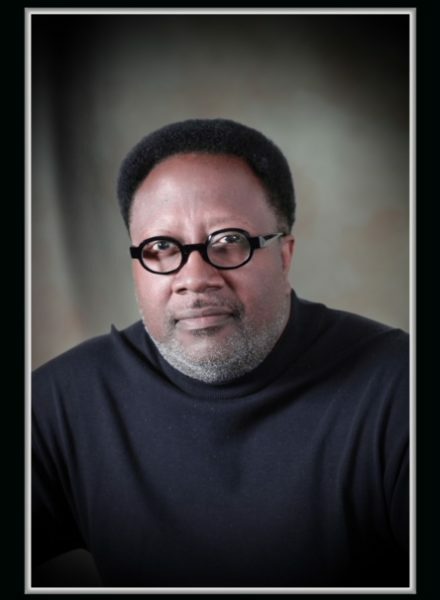 He is known nationally and internationally for his lyrical poetry, receiving wonderful reviews about his poetic work. 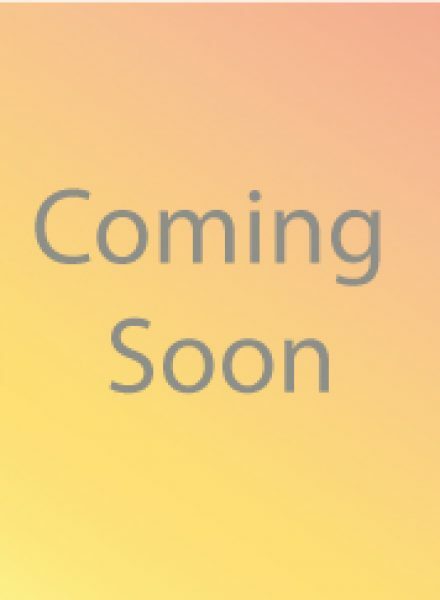 For more information, visit emmettwheatfall.com. Emmett currently works as an Assistant County Administrator for Clackamas County. Previously, he also held positions as the Vice-President for the YMCA of Columbia-Willamette as well as the Corporate Equal Employment Opportunity and Diversity Specialist for Portland General Electric. An Englishman by birth, Kevin combines his business degree and corporate experience with a masters in theology and a lifetime of practice in the arts. 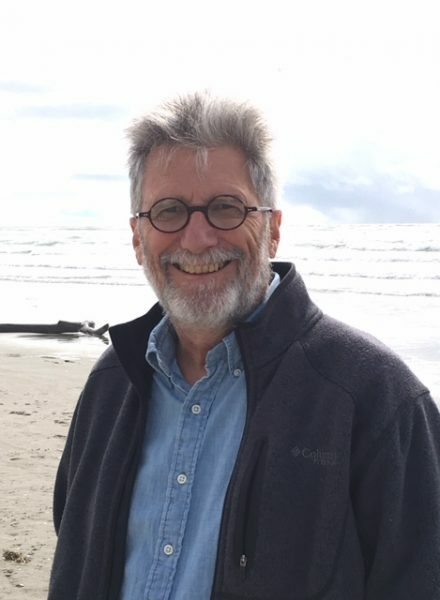 Managing Partner of The Ainsworth House & Gardens in Oregon City, he is also a popular local theatre director, published playwrite and occasional painter and visual designer. He sits on the boards of several other local non profits, including Cerimon House ~ A home for the humanities ~ in Portland, New Century Players, a community theatre company in Milwaukie, and Namasté, promoting contemporary spirituality and retreats in the real world. Ordained since 2000 with The American Catholic Church, Kevin was a hospice chaplain for many years and continues to be a spiritual director, popular preacher and inter-faith speaker when invited. Colleen Chesbrough is originally from Florida but has called Oregon home for over 20 years. She returned to Florida to attend college at Edison University, where she studied psychology, business, and of course her lifelong love, art. She began painting professionally in college and completed a 50-foot acrylic mural in the Lee Memorial Hospital. Following several years of college and working in Florida, she returned home to Oregon to finish her Bachelors degree at Portland State University. In 2016, she and her fiancé made a home together in Eagle Creek where they plan to be married in the summer of 2019. Although Colleen was a full time Investment Advisory Representative, she found herself seeking out opportunities to be involved in the art community in Clackamas County. When an opportunity presented itself in late 2017 to take over Mt. Hood Art Online (MHAO), she accepted. Recently, she rebuilt the gallery’s website and plans to make it in the coming years “the premier place for professional Pacific NW artists to sell their work.” In addition, she has created the MHAO Children’s Art Initiative which supports local youth artists. Colleen’s goal is to make an impact on the professional arts community as well as aid in supporting young artists. Ron began his career as a pianist, having studied at CalArts in Los Angeles, American University in Washington D.C., and later worked in both live music and as a studio musician in Los Angeles. In 1986, he was offered a position with Steinway & Sons as a Concert Technician in New York and in 1987 with the Los Angeles Philharmonic Orchestra as their Chief Concert Technician, where he spent the next 28 years at both the Hollywood Bowl and Walt Disney Concert Hall in Los Angeles. Ron has toured extensively throughout the world working with major classical pianists and continues to do so with several artists. In 1995, Ron began studying visual arts (drawing and painting) at Art Center College of Design in Pasadena, CA and is involved in the art scene mainly at Portland’s Hipbone Studio. He had an abstract oil shown at MOMA’s ‘In the Studio’ Education and Research Center in New York in January 2018. Ron currently resides in Oak Grove. William is a long-term resident of Welches, living in and caring for an historic 1920’s fishing lodge along the Salmon River nestled in the shadow of Mt. Hood. 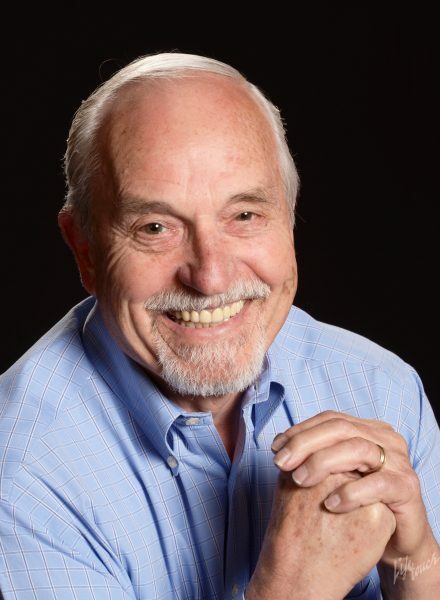 He is recently retired as a consultant and member of the faculty at Clackamas Community College where he assisted business and industry in organization development, leadership, training and facilitation. William was also the owner and operator of The Store Natural Foods & Café for 10 years in Welches “back in the day.” Early in his career he served as a School Psychologist and Child Development Specialist. As a teenager William was introduced to the guitar and since then he has continued to play and occasionally perform as a fingerstyle guitar player, singer and song writer. William is an active globe trotter with his wife and proud father of two grown boys. Now he is interested in supporting the arts & cultural heritage of the Mt. Hood corridor and reconnecting with those far and wide who share his love of the mountain. Lindsay believes that everyone should have the opportunity, access, and support to express themselves through the arts or through enjoyment of the arts. Music, dance, poetry and theatre were fundamental to Lindsay’s growth through her life and especially during her teenage years growing up in New York City. “Being involved with the arts gave me purpose, and a meaningful platform to process hardship and trauma. Speaking my truth through spoken word poetry and singing with my guitar got me through some of the darkest days. Expressing pain and joy through music taught me that sharing emotion is both crucial to empowerment of the self and to connecting humans with each other. When people are hurting and closing off, sometimes art can get in where nothing else can. Artistic expression is like a high-powered light beam shining right into someones soul and saying ‘you matter, you are important, your struggles and hardships are relevant and you are not alone.’” Lindsay wants everyone to have similar opportunities to heal and thrive. Being able to express herself and process, those events were crucial to her resiliency. Lindsay believes that the arts are an essential part of humanity. Growing up as a child performer, Lindsay had early immersion in the arts from music and dance, to visual arts and theatre, which has led to her passion for making music and art accessible to everyone. During her undergraduate studies, she was able to refine this passion with additional skills in business, psychology, creative writing and music production in order to help the broader community. During those years, she produced poetry readings, concerts, festivals, hosted a radio show at Portland State University’s KPSU while holding the position of World Music Director. Lindsay has spent the past 19 years living around Oregon in Ashland, Portland, Salem and the past 6 years in Clackamas and is excited to have an opportunity to be a part of cultivating and promoting the arts in Clackamas County. Most of Lindsay’s recent work with the arts has been behind the scenes, as opposed to on stage, but that is where she has found her true calling, connecting people to art that speaks to them. She has found deep enjoyment being a Volunteer Coordinator for various music and arts festivals, and sees this position as a gateway to access for many who would not otherwise be able to attend these festivals. After the completion of her graduate studies in law and mediation, Lindsay worked closely with children and families in the foster care system and developed a deeper appreciation for how the arts can be transformative to the trauma healing process forward in a supportive and tangible way. She is a grateful mother to a lively and fantastic 2-year-old daughter and they enjoy gardening, listening to music, dancing, and expressing themselves with paint, markers and crayons together. 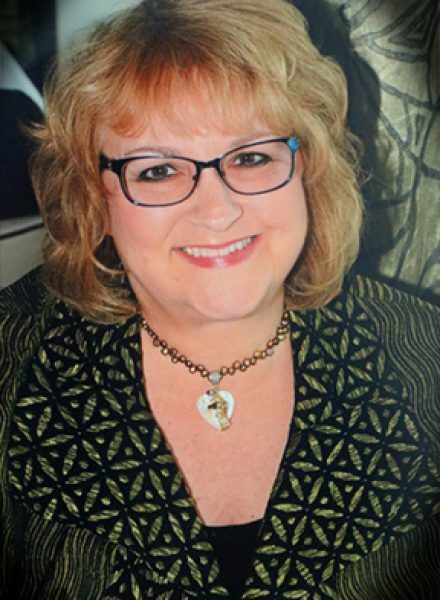 A lifelong participant and lover of the arts, Jan received her degree in music from Willamette University and did masters studies at Eastman School of Music. She is the founder of the Harmony Road Music Course which is an internationally recognized program designed to teach total musicianship to students of all ages. She belongs to many professional music organizations including Music Teachers National Association and the Early Childhood Music and Movement Association where she served on the board for six years. She has done presentations at international conferences in the USA and in Singapore, Shanghai, Malaysia, India and Taiwan. 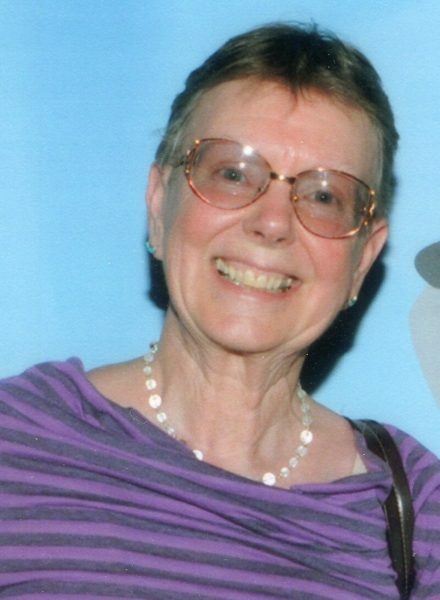 Jan is a past board member of Sojourner School – an arts oriented school in North Clackamas School District. She also served on the North Clackamas Chamber Executive Board and recently received their Irwin Adams Lifetime Achievement Award. She is a member of Clackamas Rotary and works with Rotary literacy projects. Her desire is to make the arts an integral and accessible part of family life in our communities. Jaimie is an Oregon native with a background in musical arts. She was first exposed to classical music through her mother, who taught Jaimie to play the piano when she was a toddler. She went on to learn six other instruments, choreograph community musicals and has recently taken up fine art photography. In 2017 she married her best friend. She and her husband reside in Clackamas with their rescue cat, Nora. Jaimie serves as liaison to the Happy Valley Public Art Committee. The committee advises the City Council in the creation, development and implementation of public art activities throughout the city. Her desire is to increase art accessibility among vulnerable population groups, using art as a catalyst for empowerment and community development. Virginia McKinney is a sculptor who works with a wide variety of materials – particularly clay and steel. 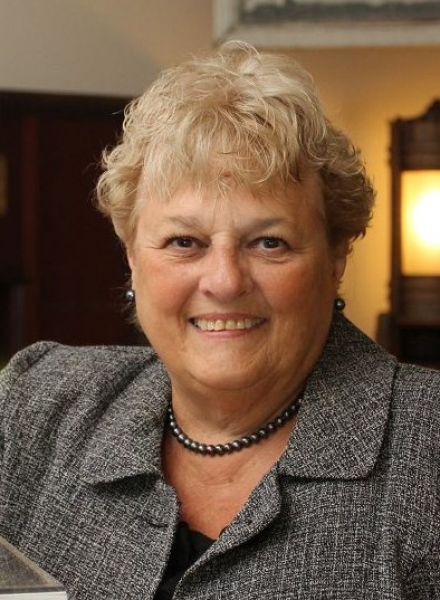 Originally from upstate New York, Virginia attended SUNY College at Buffalo where she earned her B.S. in Art Education. Her graduate work was done at Syracuse University in Fibers, Western Carolina University where she earned a M.A. in Sculpture, and the University of the Arts in Philadelphia, where she received a MFA in Ceramics. Relocating across the country several times, usually as the lucky recipient of an artist residency, Virginia is thrilled to be finally putting down roots in Oregon City and setting up her studios. She was an Assistant Professor of Ceramics and Sculpture at Bethany College in Kansas before moving to the area where she is currently the Visual Arts Lead and Ceramics Instructor at the Multnomah Arts Center. 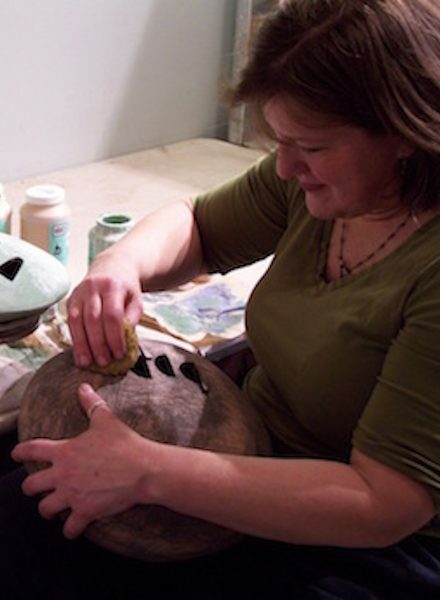 She previously held the post of Interim Ceramics Head and Artist in Residence at the Armory Art Center in Florida, was an adjunct instructor at Walters State Community College in Tenneessee, and for many years worked, taught and maintained her studio on the campus of the Arrowmont School of Arts and Crafts, also in Tennessee. She exhibits her work nationally at fine craft shows and sells her work though several galleries and museum shops. 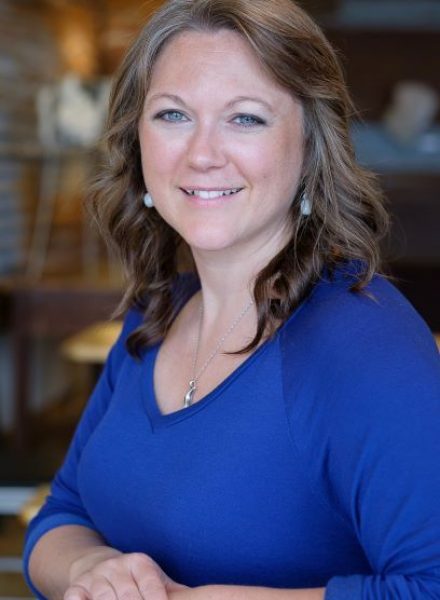 Being previously involved with various art communities and council boards, she is very much looking forward to working with the Clackamas County Arts Alliance. Marcia and her husband live in Sandy, Oregon. She has been creating art from an early age in many different mediums. For several years she worked as a nurse and Program Manager for Multnomah County Health Department. When she retired she decided to study watercolor. Marcia has found watercolor to be a fun and challenging way to express her creativity. She has been a photographer for many years and paints subjects from those photos. Marcia is president of the Wy’east Artisans Guild in Sandy. She is an active member of the Watercolor Society of Oregon and is on several art boards. She volunteers at the Sandy Library once a week helping kids to enjoy all forms of art and to explore their creativity. Marcia coordinates the Wy’east Gallery at the Sandy Actors Theatre for their plays. Her desire is to link Sandy into the Clackamas County Arts Alliance and to promote artists from the surrounding area. Through creative adventures in a wide range of mediums and co-founding an arts nonprofit focused on building bridges between artists and communities, Owen Premore has extensive experience in the visual arts. A native Oregonian, Owen grew up in a house his father designed and built in Oregon City and later raised a menagerie of critters on a farm in Eagle Creek. He earned a BA in Art from the University of Oregon where he focused on painting and sculpture, and an MFA in Spatial Art with a focus in kinetic sculpture and interactive installations from San Jose State University. While working in a variety of mediums, Owen’s work often addresses empowerment over consumer expectations through the use of humor and ingenuity. For over a decade, Owen spent up to a quarter of each year traveling the United States working in science museums and visiting art institutions. His time on the road provided him with the opportunity to explore creative cultures of various communities. The surprising differences in community, institutional and nonprofit support structures has become a strong area of interest. While continuing his own artistic pursuits, Owen supports artists and communities locally through his non-profit organization Art in Oregon. His nonprofit efforts strive to support and empower creative makers of all skill levels and backgrounds. Susan Schenk is a Wilsonville based mixed media artist. Since retiring from her school administrator position with Portland Public Schools, she has honed her own art skills, creating and exhibiting art, teaching classes and writing how-to articles for national crafter magazines. Her most recent art adventures involve teaching art on a luxury cruise line. She is a member of Elysium Artists and an active member of the Three Rivers Artists Guild in Oregon City. As a volunteer, she is a docent at the Portland Art Museum and a board member for the Creative Arts Community which organizes an annual adult residential art experience in the Columbia Gorge. As a new member of the CCAA Advisory Board, she hopes to be a catalyst for creating a more visible art community as Wilsonville enjoys phenomenal population growth. 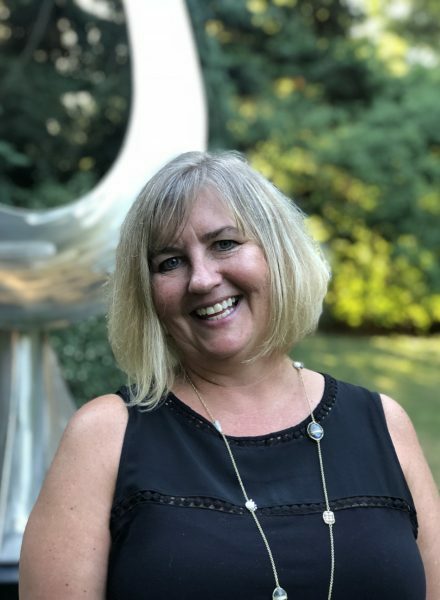 Cyndy has been the managing director of Clackamas Repertory Theatre – a professional theatre company in Oregon City – since it was founded in 2005. Prior to that she worked at the Portland Art Museum in development. She is also an actress and singer, and has performed in plays, musicals, operettas and in film for over 40 years. 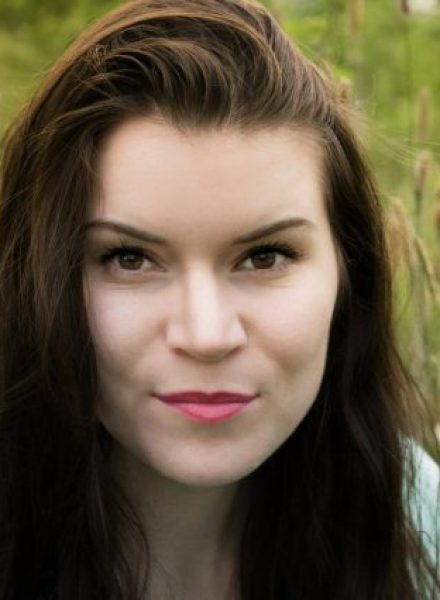 She holds a Bachelor of Arts degree in theatre from Lewis and Clark College and a Master of Arts degree in liberal studies from Reed College. Molly Williams has lived in Oak Grove on a “junior acre” since 1986. She is retired from teaching English as a second language and intercultural communication at Clackamas Community College. She now spends her time traveling both domestically and internationally, tending her garden, bicycling, cross country skiing, kayaking, hiking, and walking her dog, Sadie. Molly is an avid quilter and likes to use fabrics she discovers in her travels to sew into interesting creations. She likes to appreciate art through her intercultural eye, where art is viewed as a manifestation of cultural values and beliefs. Bill is retired faculty and Dean of Arts & Sciences from Clackamas Community College. He remains active in the arts as a musician and photographer. He has traveled extensively and has taken students around the globe to study art, humanities and religions of the world. He has several stage credits over the years in musical productions and has released 12 albums of original children’s, pop, and world-influenced music and has recently released a retrospective collection of music from his career. He has extensive studio experience and has produced a variety of musical and spoken word albums for other artists. Bill has just returned from Cuba where he met artists and played with a variety of musicians and is returning to Africa in August of 2018. He is excited for the opportunity to help promote the arts in Clackamas County. Katinka is a professional librarian and has worked over twenty years in libraries in Clackamas County. She served six years on the Estacada Area Arts Commission, leading the city through the adoption of a percent-for-arts ordinance and three public art projects. She currently serves on the boards of three local arts organizations: Clackamas County Arts Alliance Advisory Council, Clackamas County Cultural Coalition and Artback Artists Cooperative. 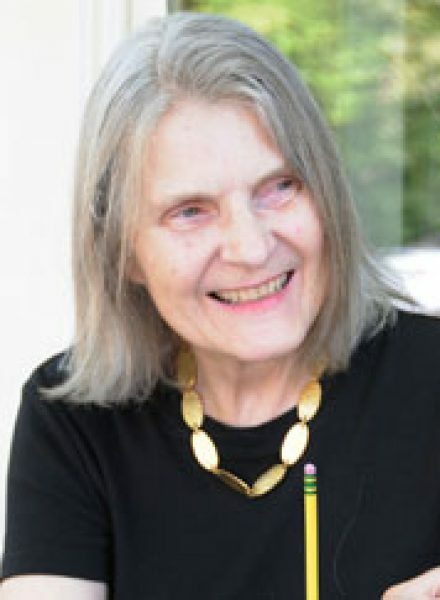 When Katinka’s children were young, she managed the artist-in-residence and PTA Reflections programs for the Estacada Grade School and the Estacada Junior High. She also volunteered at an after school arts program for youth using discipline-based-arts-education methodology. Her son is a professional jazz musician in LA, and her daughter is a multimedia artist/musician in Portland. She lives in Estacada and is always impressed with the quality and diversity of their vibrant artistic community and the dedication of their arts supporters. As they say in the Artback, Let’s Paint the Town! Sandy Carter is a West Linn retiree, writer and history lover who’s never sure how to fill out the line on application forms that allows about 25 characters for “Occupation.” After her retirement as grant-writer for a human services agency, her volunteer work with Willamette Falls Heritage Foundation expanded, focused on promoting heritage and preservation in the historic industrial territory surrounding Willamette Falls. 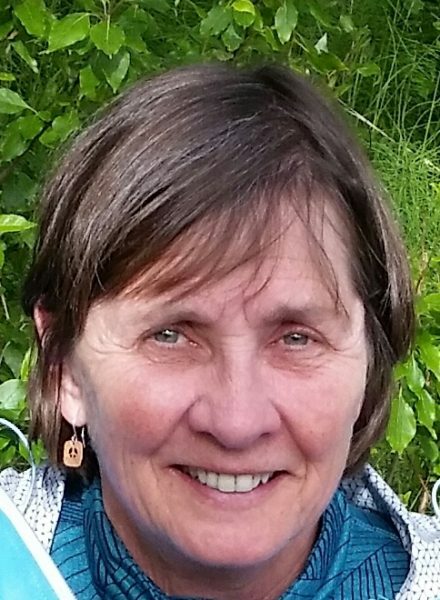 Specifically, she’s focused on a healthy future for Willamette Falls Navigation Canal and Locks and has been the voice of Locks advocacy since 2002. Sandy joined the board of the Cultural Coalition in 2016 as a heritage representative and was happy to be able to contribute to the creation of its new 2018 Cultural Plan. On the side, she teaches basic grantwriting for nonprofits and has gathered oral histories for legacy projects like SavethePTBoat and the industrial area at West Linn’s Locks. She authored $1.09 an Hour and Glad to Have It, published in 2010, which introduced the stories of 17 career mill workers at Crown Zellerbach West Linn. She also produced two full-length oral history video documentaries sourced from those interviews and coordinated three “Art Contemplates Industry” plein air events at historic county powerhouses. All products of her projects have been printed and placed in Clackamas County libraries for future research. Carter’s American ancestors arrived in Oregon in wagon trains in 1845 and 1888. 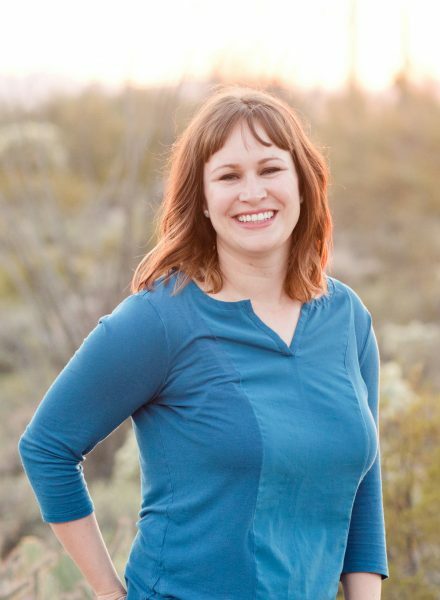 Her background includes a journalism degree from the University of Oregon, some magazine and newspaper reporting and several community and local preservation awards. She has twice contributed articles to the Oregon Historical Society Quarterly, and has published a family letters collection from WWII: Letters from the Sewing Box. Besides the Foundation and the Cultural Coalition, she belongs to the League of Women Voters and local heritage organizations, and one of her best memories is riding in an open red convertible on a sunny July morning as the Grand Marshall of the West Linn Old Time Fair Parade. David F. DeHart, a retired US Army Intelligence Officer, served in Korea, Turkey, Italy, Germany and Vietnam. 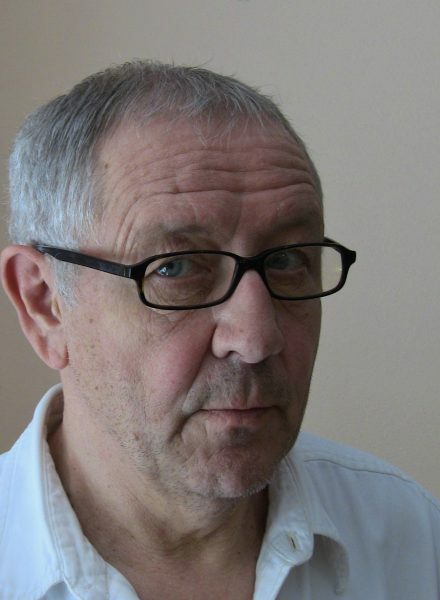 He is a novelist with six published books, a fine art photographer and an actor/director. His great-great-great grandfather, Horace Parsons, settled Forest Grove in the 1840’s. His mother, grandmother and great-grandmother were born on the same farm in Gales Creek, Oregon. This pioneer ancestry sparked his keen interest in genealogy and historical Oregon life. For the past 17 years, he has been active in the arts and culture community. He co-chaired the Arts and Culture Alliance of Wilsonville, as well as served on the board of the Wilsonville Theater Company. Dave resides in Wilsonville with his wife Wendy, an accomplished pastel artist. 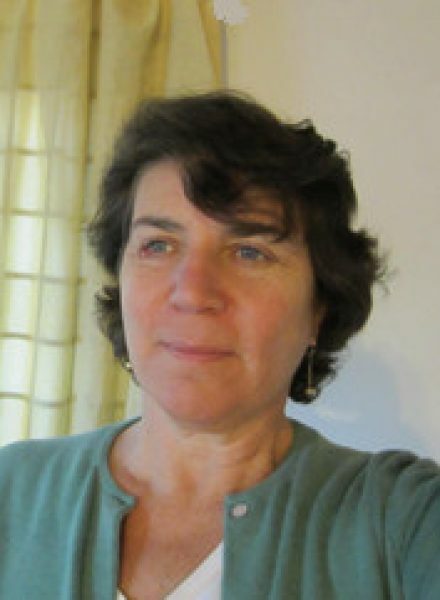 Joan Maiers has worked with writers of all ages for such ventures as Marylhurst University, Lake Oswego Adult Community Center, and the statewide Oregon Writing Festival for grades 4-12 at Portland State University. 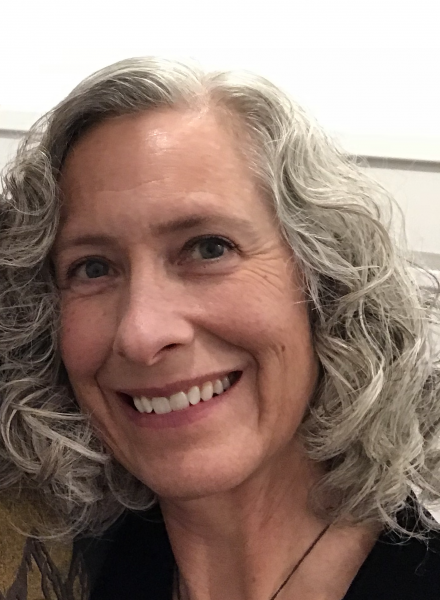 She has served on the Portland Poetry Festival Board, coordinated literary programs for the Lake Oswego Festival of Arts, and has hosted the Moonstruck Literary Series (recently re-named the Peregrine Literary Series), featuring regional writers and musicians. Her extensive network includes, among others, the Oregon Literary Coalition, Friends of William Stafford, and the annual Honoring Our Rivers Anthology. Her writing appears in numerous journals and collections. She is preparing her book Specific Gravity for publication. Nancy Nye is an ardent cultural advocate and non-profit professional with over twenty years experience in the field. She believes that strong arts, literary and heritage organizations are essential to a thriving economy and a healthy community. Nancy began her career as an actress in New York and Los Angeles, but was surprised to discover her emerging skill as a theatrical Company Manger was extremely gratifying. Since that time she has held positions with the Pacific Art Center, HSU Center Arts, CSU Summer Arts and the Center Theatre Group in California. 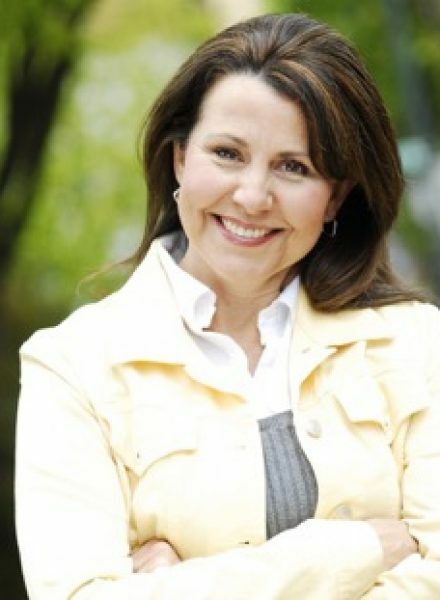 After moving to Oregon eighteen years ago to raise her family, Nancy worked as Program Manager for the Clackamas County Arts Alliance and later served as the Executive Director for Portland Boychoir & Ovation. 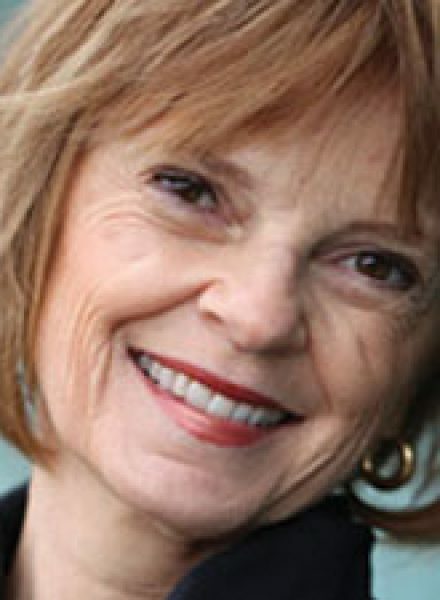 Most recently, Nancy led the Arts Council of Lake Oswego as their Executive Director for five years. 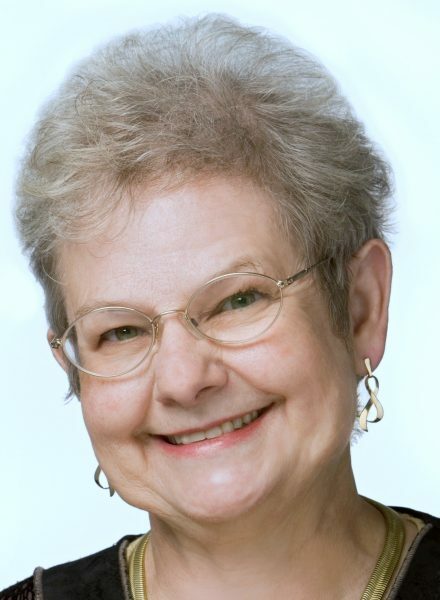 In addition to serving on the Clackamas County Cultural Coalition, Nancy is an active member of the West Linn Alliance for Inclusive Community. David’s first memory of performing was in a neighborhood show. He was three years old. He can’t remember what he sang, but he’s pretty sure he performed something. We fact-checked this with his mom who confirms that it did indeed happen. At age seven, David started piano lessons and simultaneously discovered baseball. He took up the trombone at 11 years old, and a year or so later someone discovered that he could sing. Throughout elementary and high school, his parents provided him with the finest music instruction available. His parents also insisted that he and his brother practice for an hour every morning before they got breakfast. This turned out to be a great deal because he had the rest of the day to play baseball, basketball, football, tennis, or find other creative ways to get into trouble. After years of training and exposure to great music, he ended up in the performing arts. This was a great surprise and disappointment to his parents, who somehow believed he would become a doctor, a minister, or something else respectable. 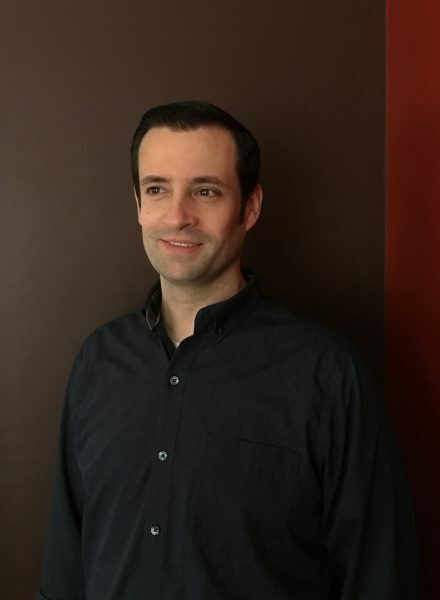 David entered college as a music major and by the time he graduated from Lewis and Clark College, he had discovered theatre which seemed to suit him just fine. 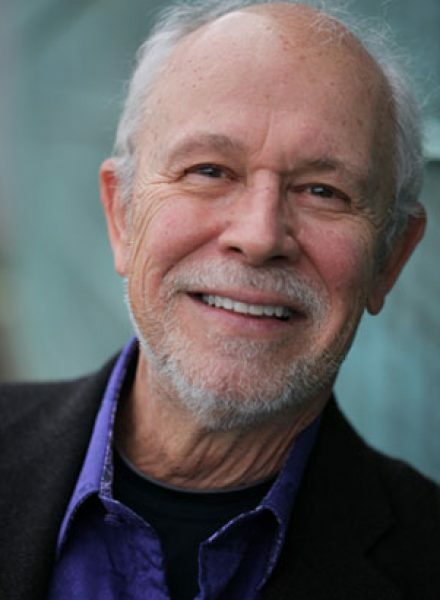 After several years of acting, directing, and singing in a variety of places from Los Angeles to Boston, he ended up back in Portland where he was hired by Lewis and Clark College in 1975 to perform in a touring bicentennial show called Tom Paine. It was on this tour that he met Cyndy, and they have been together ever since. In 1988, he was hired to teach in the Performing Arts Program at Jefferson High School where one of his assignments was the Jefferson Acting Ensemble. During this time, he returned to Lewis and Clark College to acquire his Master’s degree. In 1995, he was hired as Director/Instructor of the Clackamas Community College theatre department where he worked until his retirement in 2012. He loved the job, the College, and the opportunity. 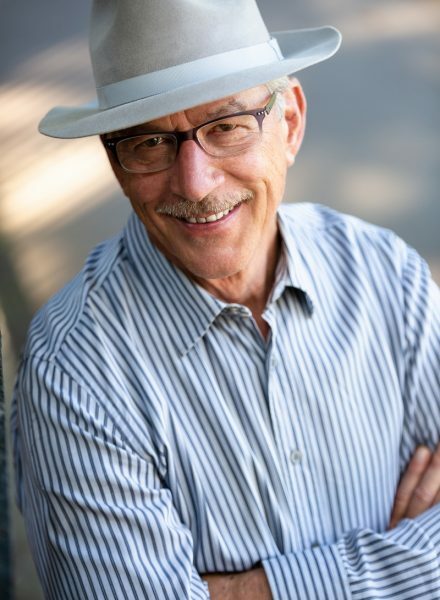 Together with Cyndy Smith-English, Chris Whitten and Alva Bradford, he helped form the Clackamas Repertory Theatre where he continues to serve as the Artistic Director. He is particularly proud that all of the core members of Clackamas Rep are former students of the Clackamas Community College theatre department, and that the company continues to employ current theatre students. Through his eyes, life continues to be wonderful even though his lifelong dream of becoming a professional athlete may never be realized. 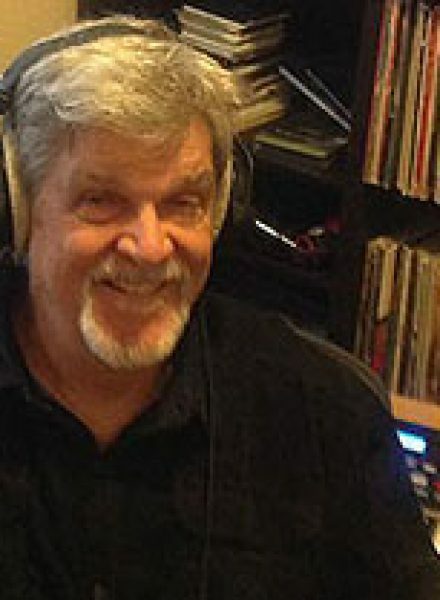 Bob Sterry is a voice artist, writer, singer, occasional actor and humorist. 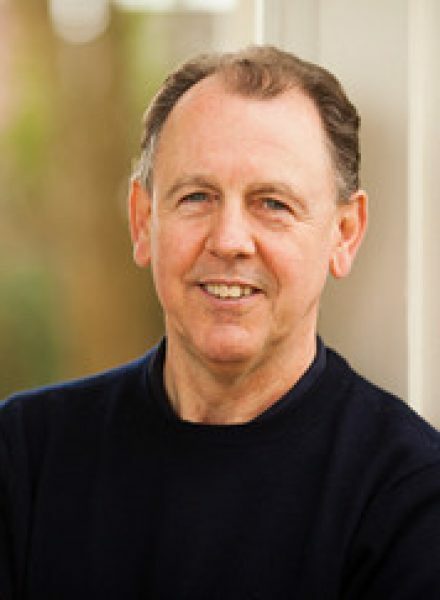 Originally trained in the UK as a research analytical chemist, he immigrated into the United States in 1973, working as a wine waiter in New Jersey, a fork lift truck driver in Connecticut, and spent his professional career in the marketing of scientific instruments and services in New Jersey, Hong Kong and around the world. It was not until he started writing short articles and poetry in the nineties that his creative talents found an outlet, and he began to sing seriously in choirs and extemporaneous groups. In 1999 he and his wife Anne-Louise Sterry, a well-known speaker, singer and storyteller, founded a short lived but much loved faux cowboy wannabe band, ‘Anne-Louise and the Cascade Urban Cowboys’. Discovering his on-stage talent, he took the step to starting his own show of songs and spoken word. His singing is Cabaret satire with Broadway and the English Musical Hall grinning in the wings with a nod to the classical style. Recent shows were ‘The Bob Sterry Atomic Summer Show’ and ‘The Book of Bob’ and ‘A Sterry Sterry Night’ with Anne-Louise Sterry. He is passionate about cycling, cooking, language and literature. When not singing, Bob is launching his new radio show on XRay FM, writing and reading more poetry, and working as partner in Sterry and Sterry, a woman-owned business providing speaking, staff development, voice acting and entertainment services.